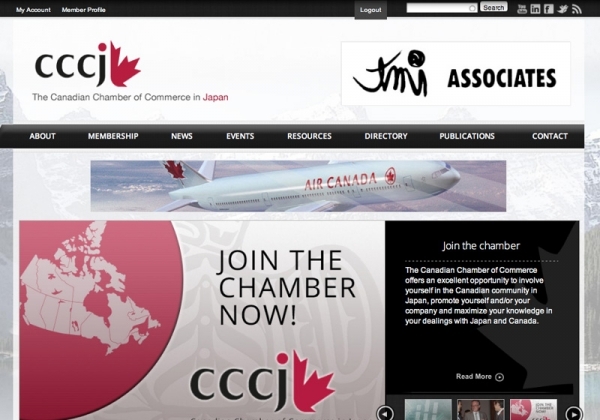 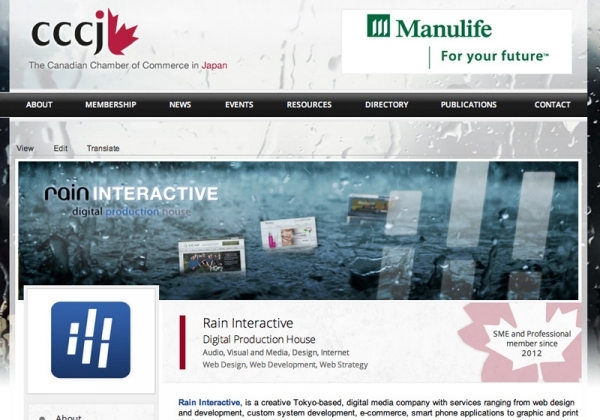 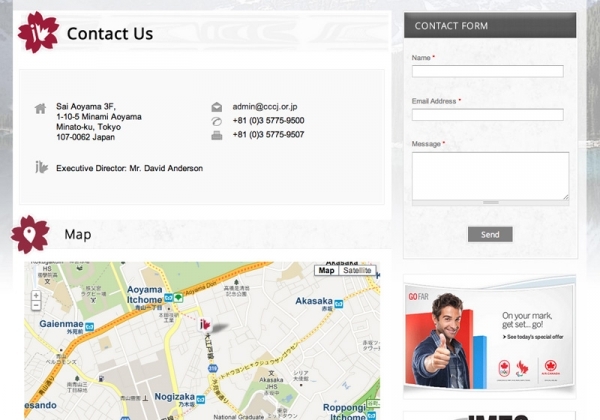 Rain was proudly given the task of completely rebuilding and redesigning the Canadian Chamber of Commerce in Japan's website. 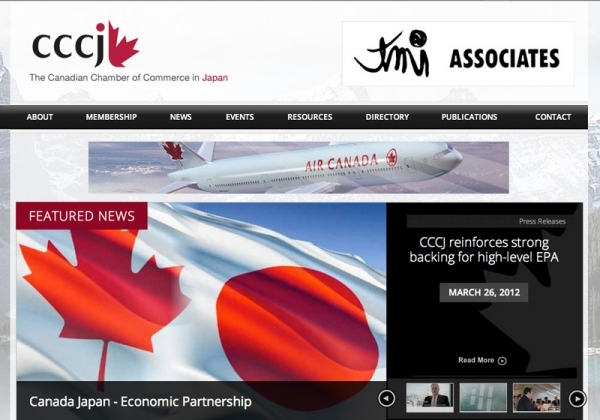 The task at hand was to not only create a current, engaging and functional site, but also expedite and enhance the organisations' operations as well as provide additional value and online benefits for their members. 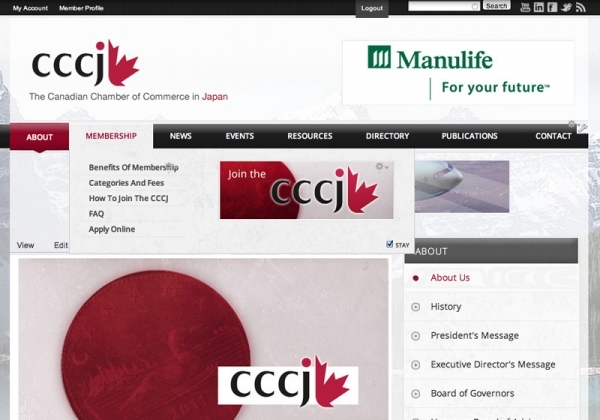 The CCCJ website, includes an online member directory with personalised member profiles, online payment system for events, feeds out to new CCCJ social profiles, and involves continual development to bring in more features prioritized by the CCCJ. 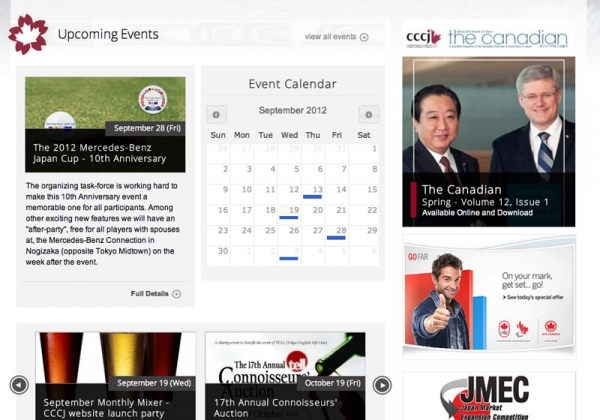 The CCCJ website will continue to grow with multi-language, mobile display and enhanced members only features.